Some acts of compassion are so spectacular, they literally stop traffic. 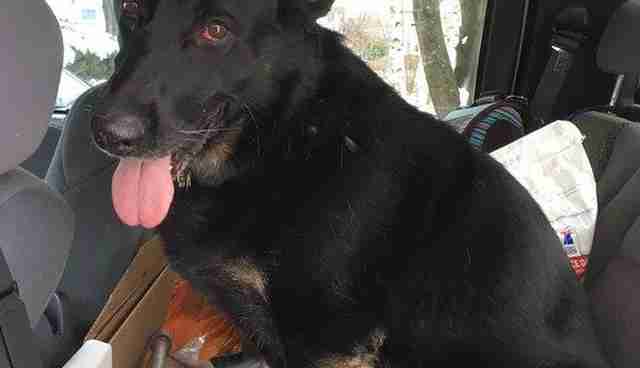 Consider Lexi, a German shepherd who managed to find herself lost on a bustling stretch of Interstate 495 in Massachusetts. 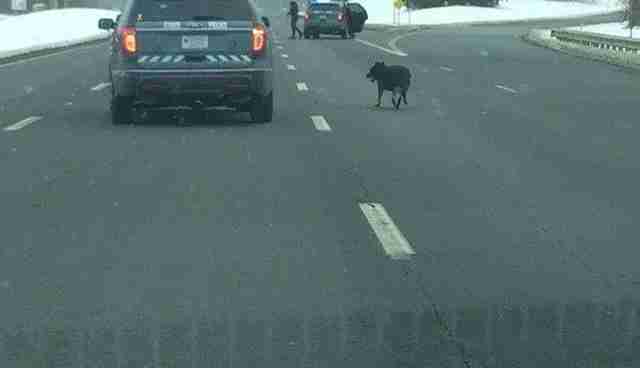 According to state police, who shared the encounter on Facebook, the lost, frightened dog was dangling dangerously in and out of traffic when officers arrived. But when they tried to coax Lexi off the road, the errant animal bounded back into the rush of traffic. It was time for some serious police work - a coordinated effort from not one, but three agencies: Massachusetts State Police, officers from the Methuen Police Department and the Massachusetts Department of Transportation. First, every lane of traffic was closed. Then it all came down to state trooper Malachy Higgins' granola bar. Come on, Lexi, you know you love granola bars. Lexi went after that granola bar so hard, she leapt right into the cruiser, knocking over the officer's coffee and even turning on the police siren. Not long after that, Lexi was reunited with a very grateful owner in Methuen. "I'm a dog owner myself, so I know how it would feel if my dog was lost," Higgins told the Boston Herald, adding that when he spotted the dog, he thought of his own 5-year-old Australian shepherd, Teddy. "I have a wife and a 1-year-old," he said. "I know how devastating it would be for them if we lost him."